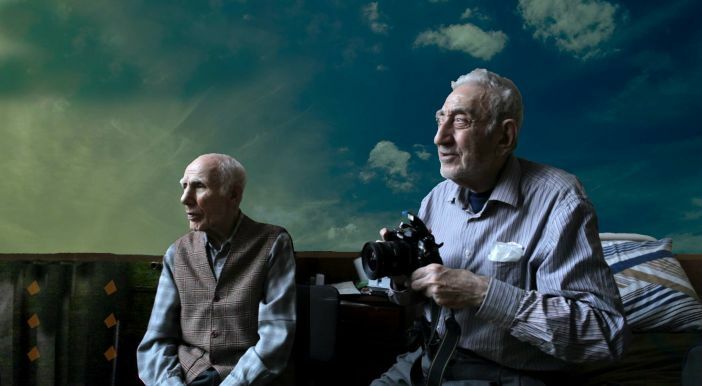 Beautifully shot and constructed by first-time director Shevaun Mizrahi, co-editor Shelly Grizim and producer Deniz Buga, Distant Constellation is an artful, haunting documentary of ageing residents in an Istanbul retirement home. The mostly stationary images capture the inhabitants, whose gazes wander while the camera remains unflinching. Some are very old, physically hollowed out; others are slightly younger, perhaps senile, often lonely. Each regales Mizrahi (who we do not see or hear) with reminisces of their life along with immediate emotional concerns. Sometimes animated, sometimes downcast, they regularly behave strangely, and the eerie Gothic score emphasises the sense of the uncanny. One woman called Selma recalls the horrors of the Armenian genocide, sometimes falling asleep mid-sentence. Her voice is hoarse, grating, scorched by use and age. She fears for her legacy more than her past, however – the present is what scares, what gives pause. Selma’s pain will be presumably ours. In a remarkable moment, a pianist propositions Mizrahi. He is not an oleaginous figure; he is lonely and old. His embarrassment and desire seep from haggard skin. It is a feeling – of resignation, boredom, transient hope – that will be felt by us. Other residents play and interact with one another: two men mess about in an elevator; a blind photographer flashes a camera from his bed. The imagery is hypnotic after a time – viewers sympathise with the elderly cohort, but the stark shots of their odd behaviour bring about unease. The director breaks up the talking heads with an immense construction site outside – we assume it is nearby. The workers engage with one another, discussing their futures, a poignant counterpoint to those living out their days in the home. Mizrahi could be invoking a distinction between the residents’ aged contemplation, their relationship to their modest home, and the coming modernity of avaricious development projects. But this feels too cute given the surreal succession of scenes that comprise the film. Overall, the accumulation disquiets and disorientates. When the weather changes we finally see skywards, away from the construction and the residents. The wind picks up, producing a comet’s tail of snow. It seems indiscernible at first, but within the ambiguity there looks to be a composition. Distant Constellation is released does not have a UK release date yet.